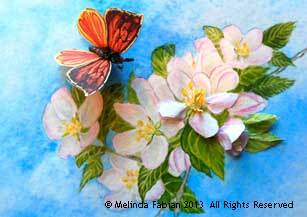 I just created six new paintings in watercolor and gouache. I am very excited about these new pieces. I added a touch of realistic whimsy to each of my pieces. By this I mean that each painting has a little “surprise”, a small three dimensional element that is added on top of each painting in the form of paper sculpture. This is the first time I am combining the two different styles of art that I am most familiar with: painting and paper sculpture art. The added touch of paper sculpture brings a whole new level and dimension to my art, seamlessly blending paper and paint in a way that would be hard to replicate and really fits who I am as an artist. “What should I draw (or write or create)?’ is a question we all ask ourselves when facing that scary blank page. Here are my top eight suggestions for finding inspiration for that new project or to at least get started somewhere. Well, here it is. 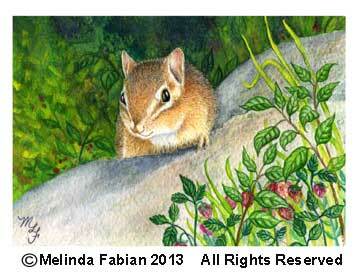 The final chipmunk!